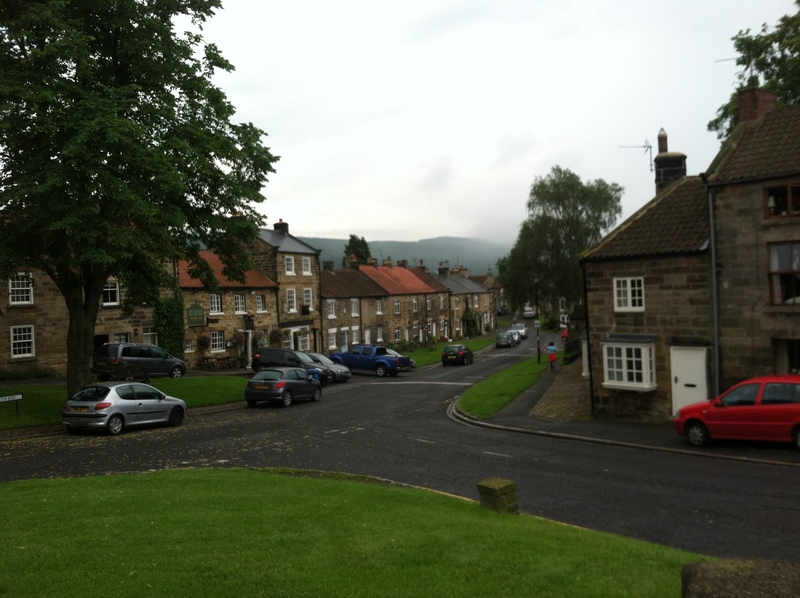 Yesterday morning we set out from Osmotherly, “the prettiest village in England” one of our guide books had said. It was lovely, but after the day we’d had what mattered was the good pub and bed. 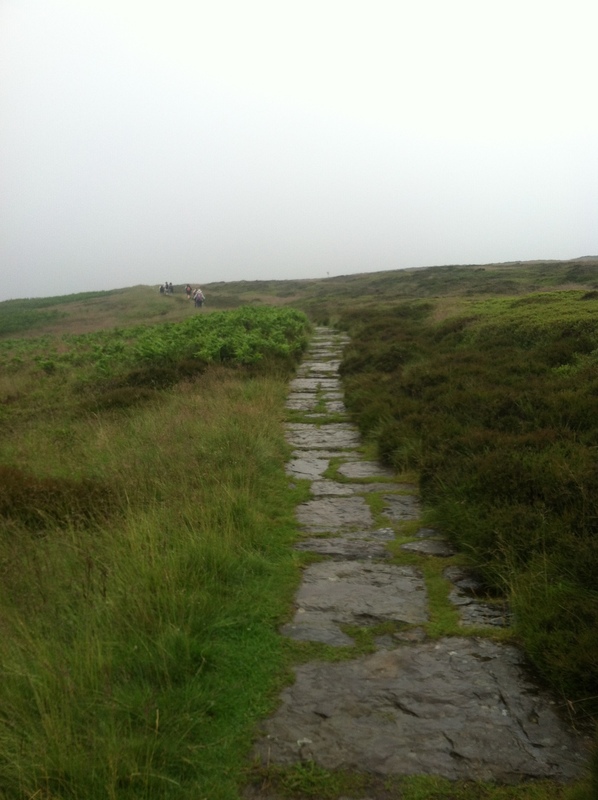 We walked up the road for a couple of miles and crossed into North York National Park, an immense expanse of moorlands and the world’s largest area of heather. 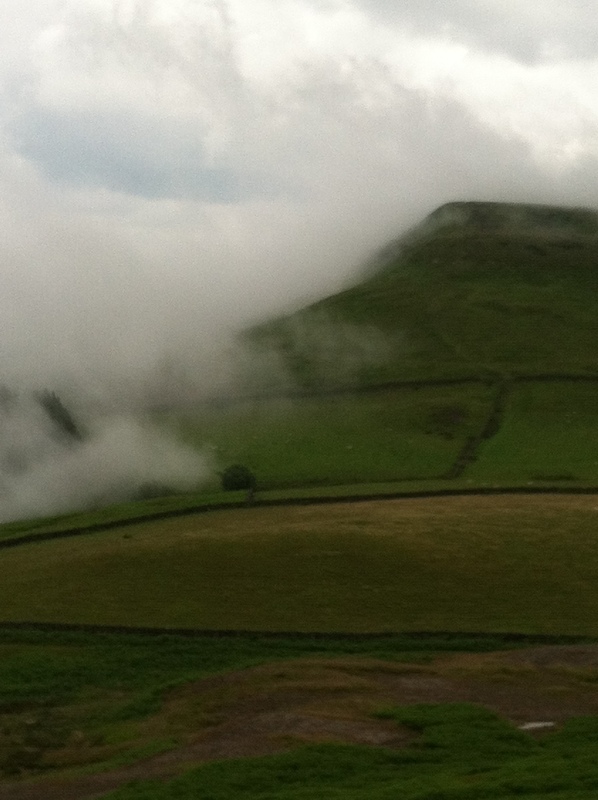 It rained a bit, as usual, and as we started the steep ascent up Live Moor we walked into a cloud. All we could see was each other spread out on the track (mostly an amazing path of set stones and steps – who did all that work?) and the heather stretching off into the fog. 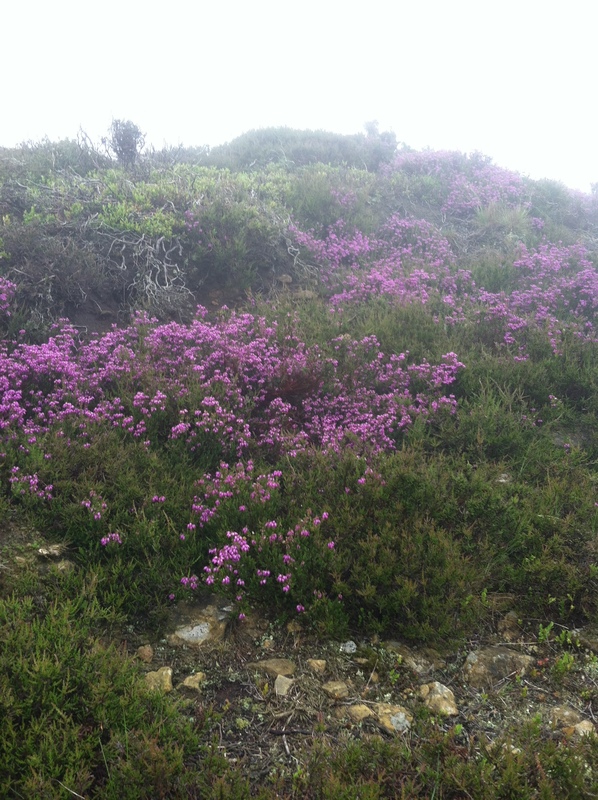 We all stopped to admire one blooming patch – mostly heather blooms in August. 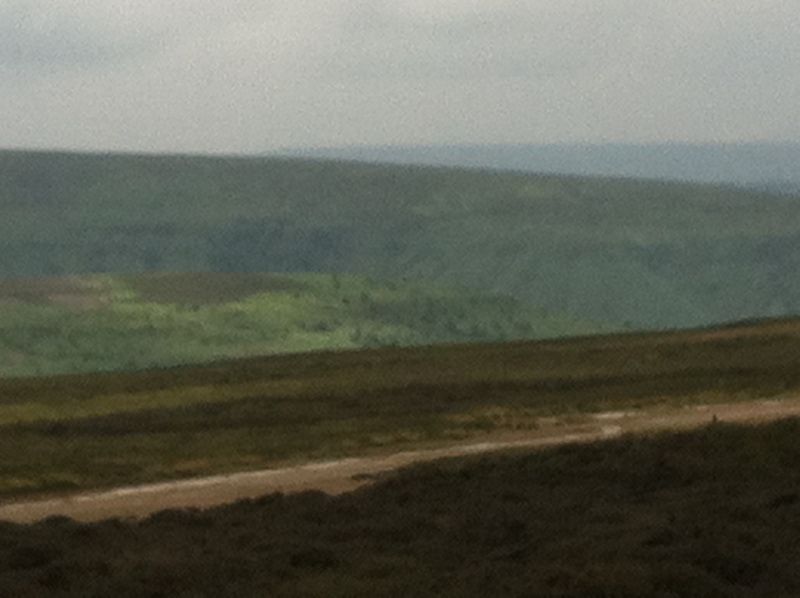 Up and down we went, climbing next up Carlton Moor. 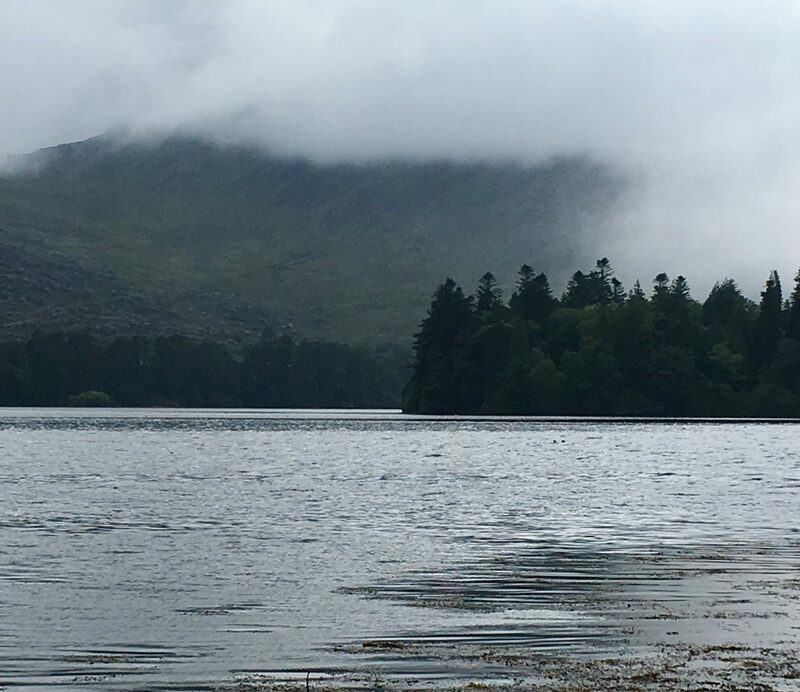 I was resigning myself to a long day of walking on misty moors, climbing and descending very steeply over four moors (over 3,000 feet of elevation work total for the day) with no view to reward us. But as we reached the top of Carlton Moor the sky brightened, the mist lifted from the valley to the south and we could see back over the lowlands and distant Pennines from our previous days of walking. 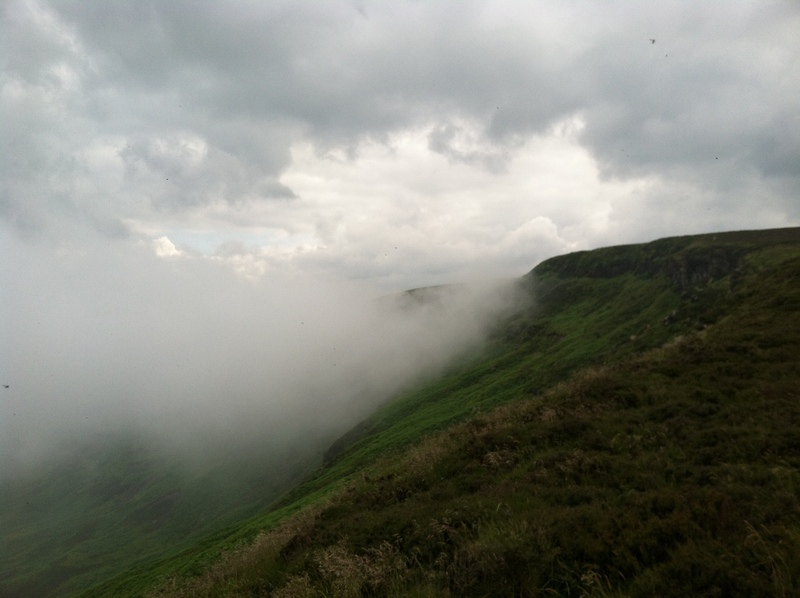 The clouds were still piled into the valley to the north and for several miles we walked along the lip of the mist, coming up to the crest of the moor then threading away over our heads. Eventually the sky cleared completely and we had a long walk along the vast sweep of Urra Moor, walking in sun for hours on a blessedly easy track with no mud. For the first time in a week I walked without gaitors and the outside of my boots dried. I’ve never walked in such hugeness, heather and peat in long open slopes for as far as I could see, valleys of pastures far below. When we finally saw the red roof of the Lion Inn we were very happy to be at the end of such a glorious stage of this journey. After a hearty pub meal Anne, Peter, David and I got picked up by the owner of the August House B&B (not enough rooms at the Lion when our trip was booked) and driven to Rosedale, a beautiful moor valley. It was our first time in a car in almost two weeks. Now there is a big storm moving through, thunder and lightening and heavy rain. Luckily we don't need to leave early today and can enjoy our "loo with a view" as the owner said last night when she showed us our bathroom. 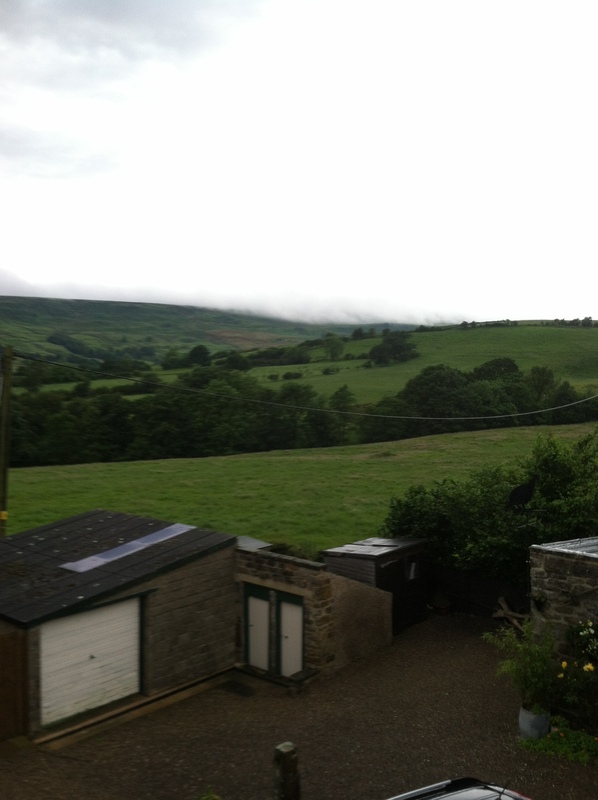 The view from our bedroom is just as lovely. This is so hauntingly beautiful. was that during the summer? It was last week, and yes, it was beautiful.